left : 1991 SL*18 Decor. 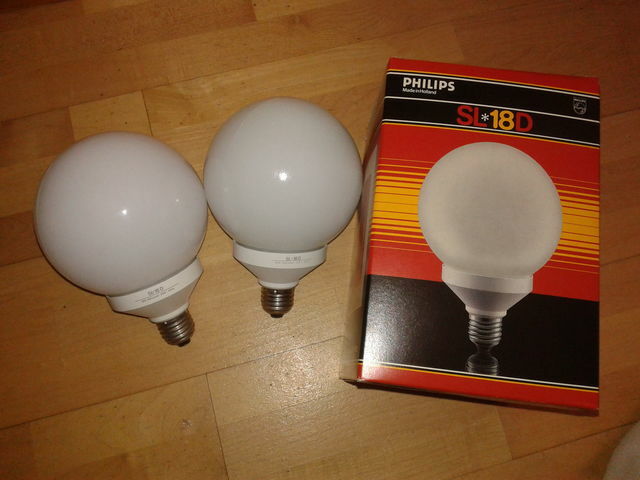 right : 1985 SL*18 Decor new condition with box. Don’t know why but these SL*D brings my childhood back! I remember them very well when they were installed in clear globes posttop streetlights near one bus station. Even now I like the design very much.